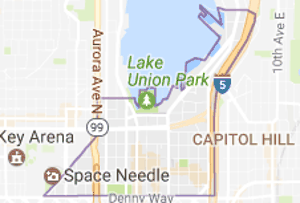 The South Lake Union neighborhood of Seattle is located, not surprisingly, at the south end of Lake Union just to the north of Downtown Seattle. 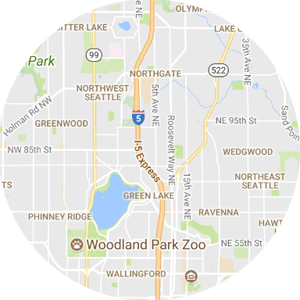 Recently this portion of Seattle has been revitalized in large part to the presence of Amazon headquarters moving into the area a few years ago. Today, there is plenty of new development and building within the neighborhood, including many new residential spaces. Those shopping for real estate in South Lake Union are going to find that most of the market is made up of condo units within large buildings. Some of those buildings are residential only, while many are mixed-use with retail spaces on the lower floors. Lake Union Park is a popular spot in the neighborhood which offers access to the lake, a boat launch, walking paths, and more. On warm summer days, this is a popular spot with both residents and guests to enjoy the outdoors and take in some of the beautiful scenery in the Seattle area. The park is also home to the Historic Ships Wharf where visitors can learn more about the boating history of the city and even rent a boat to take out onto the lake. 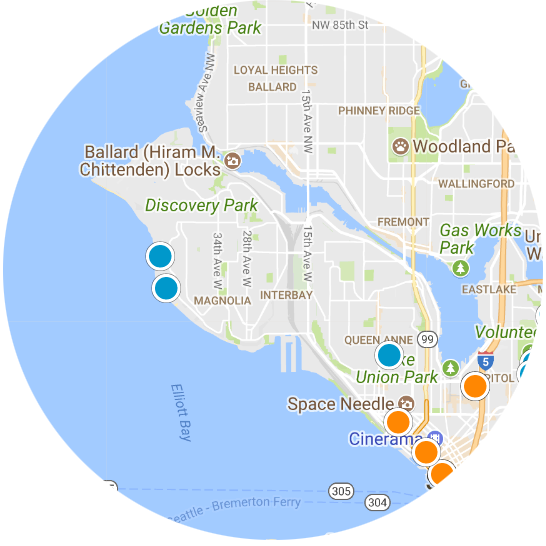 The lifestyle in South Lake Union is strictly urban, and buyers looking for the environment are likely to love what they find in this region. Whether working for Amazon or one of the other major businesses in the area, there is plenty to do and see in this revitalized part of Seattle. 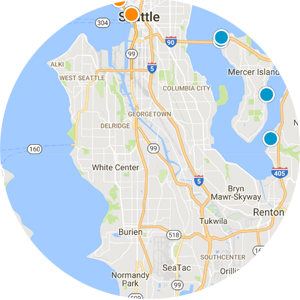 Another advantage to South Lake Union over some other Seattle neighborhoods is the proximity to I-5 – when a resident does want to leave the neighborhood for the day, it is only a few blocks to the freeway. Finding the right condo unit in South Lake Union can be a challenge because of the tremendous demand, but with new buildings opening, that demand is being met more and more successfully. Listing courtesy of Compass Washington. Listing courtesy of List4FlatFee.com, LLC.